I recently spent an evening at the University of Sussex talking to students interested in a career in the international development and non-profit sectors. That might not sound particularly interesting at first, except that I've never had a job in either. There's a general assumption – and not an unreasonable one – that if you want a career helping solve some of the bigger challenges facing people and the planet that you reach out and volunteer, intern and work at some of the largest institutions taking on those problems. But there is another way. A few decades ago, if you wanted a career in development you'd have to be a teacher, doctor or build dams. The spread of the internet and the march of the mobile phone have changed all that. Now, anyone with a computer and internet connection can build an app in their bedroom that helps to improve the lives of millions of people around the world, or develop an idea which goes viral. And I speak from experience, developing text messaging platform FrontlineSMS a few years ago with little funding or resources, which now is driving thousands of social change projects in more than 170 countries. Does the average person consider governance when they think about the things that affect their everyday lives? In a new Overseas Development Institute (ODI) paper that assesses views on governance based on survey data from around the world, we find that they do. But governance has many aspects, and there are some that are more important to people than others. In general, people seem to be concerned first and foremost about state performance and the ability of governments to deliver on key needs and expectations in areas including economic management, growth stimulation, job creation, health, education, or a more equitable distribution of goods and services. 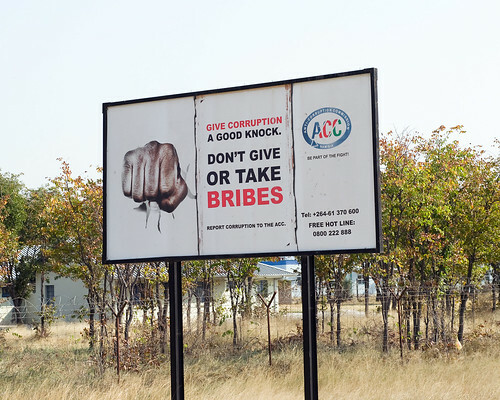 Corruption is a central part of this story, since it has such a big impact on people's satisfaction with their governments and their perceptions of its performance overall.